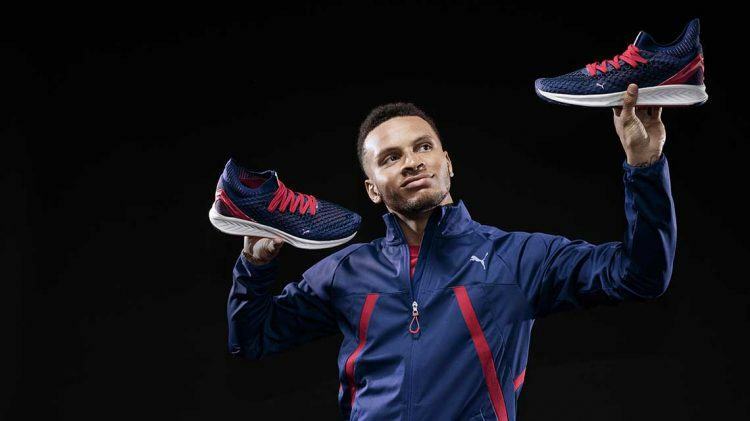 Canadian sprinter, Olympic medallist and PUMA Athlete Andre De Grasse put on an impressive display of talent at this years NBA Celebrity All-Star Game, proving that his abilities are not limited to the sprint track. 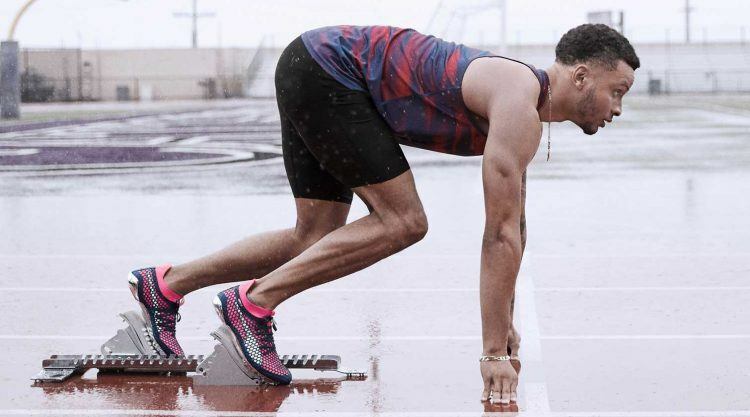 Widely dealt as the potential successor to Usain Bolt, with a silver medal in the 200 metres and bronze in the 100 at the Rio Olympics in 2016, the Canadian youngster showed what it takes to be defined as a genuine pro athlete. Downing an outstanding 17 points and adding a total of 6 rebounds, De Grasse put on a show that startled Basketball experts. The NBA All-Star Celebrity Game is usually known for its glamorous rosters filled with Hollywood stars. This year’s teams, represented in the purple colours of the Los Angeles Lakers and red, white and blue of the Los Angeles Clippers, included such famous names as Justin Bieber, Jamie Foxx , Quavo, Nick Cannon and former NBA stars Tracy McGrady, Paul Pierce and Nate Robinson. However, it was Andre De Grasse who stunned spectators with his balling abilities on hardwood at the Verizon Up Arena in Los Angeles. Following in the footsteps of last year’s MVP (Most Valuable Player), Justin Bieber, it was Hip Hop artist Quavo who claimed the award this year round, with a total game-high of 19 points to lead Team Clippers to a 75-66 win over Team Lakers. TV host Rachel DeMita led Team Lakers with 17 points. Former NBA player Nate Robinson added 14 points and boxer Terence Crawford had 9 points and 12 rebounds to the scoreboard. What a start though for Andre De Grasse as he is headed to an exciting 2018, where he will also be leading Canada’s track and field team at the Commonwealth Games in Australia, starting on 4 April. Startling Basketball experts: Andre's talent is not limited to the track. +10% in Sales. Each Year. Until 2022.